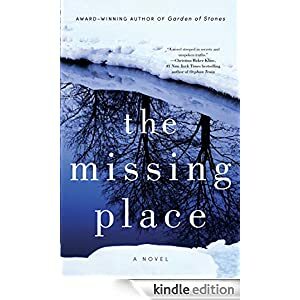 THE MISSING PLACE is the first book I picked up from Sophie Littlefield that isn’t part of the Stella Hardesty series. I like the Stella books because they are mysteries with a bit of humour, which is kind of what I was expecting with THE MISSING PLACE. However, now that I’ve finished it, I can unequivocally say that it is nothing like the Stella Hardesty series, but don’t worry because that isn’t even almost a bad thing. In fact, I think THE MISSING PLACE is my favourite book by Ms. Littlefield. The darker tone was done so well that I didn’t once long for a more lighthearted story. I was sucked in right away and the descriptions of North Dakota were so vivid that I almost feel like I was there. Not that I’d ever want to be in the remote area of Weir, as I would prefer to be in a five-star lodge instead of a random trailer at the end of a driveway, trying to break into oil-rigging community that would strongly prefer to be left alone by outsiders, but that’s exactly where two mothers who are as opposite as can be, wind up. The plot has two major components. First, there’s the relationship between Shay, a rough-around-the-edges, balls-to-the-wall kind of woman and the sheltered, wealthy Colleen, but what ties them together is the search for their twenty-year-old missing sons, who both disappeared without a trace while employed to work on the rigs. Nobody seems enthused to help either of them, scared of Oasis Energy, the company that literally created the community, and the police don’t appear to give a hoot either. So, it’s left up to two mothers to navigate the strange world that neither know much about. It’s not a feel-good story by any means, but there’s a rawness to it that I connected to right away. The desperation both mothers feel is evident throughout and at times, it’s downright heartbreaking. That realness—the uncomfortable combination of being completely powerless yet still hopeful—drew me in from the very beginning and kept me engaged right through to the end. So if you’re on the lookout for a darker, real, haunting mystery that leaves you thinking, then THE MISSING PLACE is for you! It’s scheduled for release on October 14th, so mark it on your Goodreads page and/or pre-order on Amazon! I'm linking up with Heather for Book Club Friday, so if you have a book review, head on over and share your post! I received a complimentary copy from NetGalley in exchange for an honest review. This one sounds like a great Winter read- edgy, compelling, and raw. Yay!